Main interests in Prof. Kennedy’s life nowadays are Eco-Social Regeneration and supporting the Gaia University by forming its international Advisory Board and helping to run its German coordinating centre, Gaia ActionLearning Academy for Sustainability with two very competent graduates. Accordingly, his dairy and his daily routine is pretty turbulent. But everyone that knows him knows that: “making possible the impossible”, is Declan Kennedy’s speciality. Prof. Dipl.Ing. Declan Kennedy is Irish Architect, Urban Planer, Mediator, Spiritual Healer and Permaculture Designer. 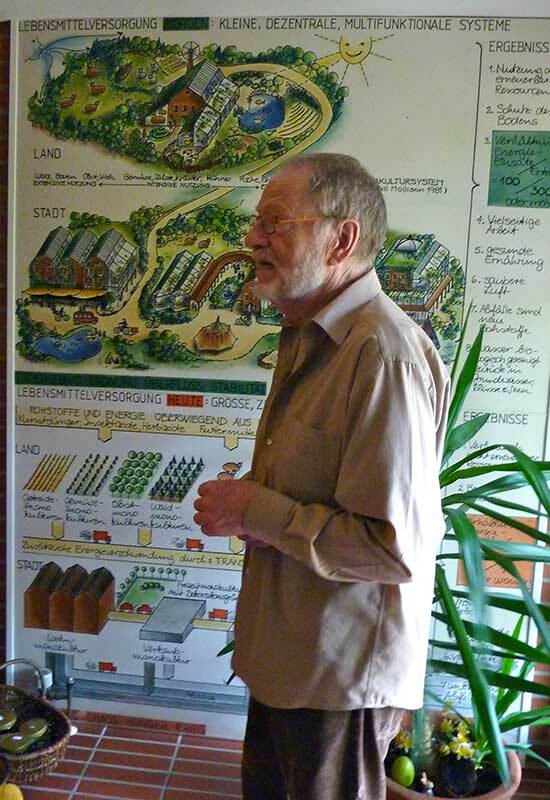 He has been teaching and practicing urban design and permaculture, landscape and agricultural planning, coupled with holistic strategies, in Germany since 1972, and recently in special intensive seminars – organized in many countries. From 1972 to 1990, he was Professor of Urban Design and Infrastructure at the Architectural Department of the Technical University of Berlin, Germany. He was assistant editor of the Journal EKISTICS from 1968 to 1973. Since then he is on its advisory board and is a member of the World Society of Ekistics since 1972. 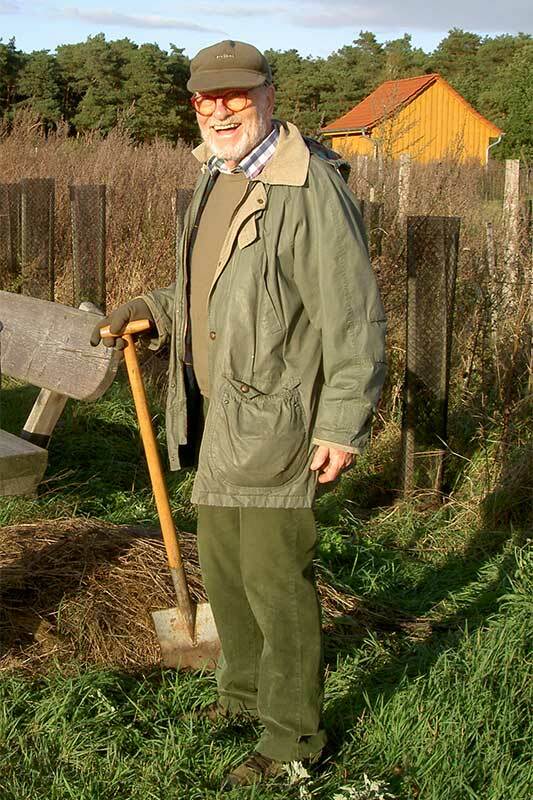 He is founding member of the Permaculture Insitute of Europe, which he chaired until 1988. As a young architect, he has designed and implemented Technical Secondary Schools in Nigeria. In the field of urban planning, he has worked on the regeneration of Ratisbone (Regensburg) in Bavaria, Germany; of the Hill District in Pittsburgh, Pa., USA; on urban renewal in Kreuzberg, Berlin, Germany. Since 1985, his work has included the conversion of a former Nazi and then British Army barracks into an ecological settlement in Lower Saxony, Germany. His contribution in recent years has been the ecological expansion of small German historic towns, in the form of designs for fully ecological settlements, integrated with agricultural activities and landscape and environmental improvement. In the early 1980‘s, he worked on the integration of ecological design into horticulture and agriculture in many countries, based on permaculture principles, a concept he learned in Australia in 1981 and which he introduced to Europe immediately following. Concrete projects were designed and implemented, especially Australia, Brazil and Germany. He became Country Co-ordinator for Germany of the Global Action Plan for the Earth (GAP) – Household Ecoteam Programme from 1989-92. Since its foundation (in Findhorn, Scotland in October 1995) until 1999, he was on the board of the Global Eco-Village Network (GEN) and ran their European secretariat and its association GEN-Europe from the ecological community LEBENSGARTEN – STEYERBERG, Lower Saxony, Germany in which he lives. Lebensgarten was chosen as one of the world-wide decentralized projects of EXPO 2000 to be held in Hannover, Germany in the year 2000. Prof. Kennedy was chairman of the working group within this eco-village in preparation for this event. At Habitat II in Istanbul in June 1996, he was elected Chairman of the Board of GEN. Since then, he functioned also as “ambassador” to the different UN commissions, following up the GEN proposal to the UN: “the Earth is our Habitat”. 1998 – 2000, he was acting as GEN representative on the Steering Committee of the “Best Practices and Leadership Programme” (BLP) of UNCHS, especially in regards to the Dubai Award of Excellence for Best Practices. With his wife, Prof. Dr. Margrit Kennedy (Prof. emer. of Ecological Building Techniques, Department of Architecture, University of Hanover), he has had an architectural and planning office in Hanover and Steyerberg until 2001. Their research work was on “New and Renewed Ecological Settlements” that have been planned and implemented by Housing Authorities in 5 countries of Europe until 1996. These case studies have culminating in a book on ‘Designing Ecological Settlements’ which has been published in English in 1997 (2. Printing 2001) and in German in 1998 (both in Dietrich Reimers Verlag, Berlin). This work was supported by the EA.UE – the European Academy of the Urban Environment, Berlin. Prof. Kennedy’s preoccupation with permaculture and eco-village design has led to his engagement in the Gaia University, a young university without walls, based on action-learning, which is building regional co-ordinating centres in Germany, and on the west and east coast of the USA, followed by Brazil, Chile, Nepal, and the Virgin Islands. The project at hand PaLS (Permaculture Park at Lebensgarten Steyerberg) is the self-organized food-security extension of the community Lebensgarten, designed according to permaculture principles and implementing Bioland criteria.